Today is December 31, the last day of our Months of Kindness! I am so proud of you Addison! I know Mommy and Daddy are very proud of you and all you have done this month too. And all of the kind things you have done, have made God’s heart very happy! Since you have lots and lots of books, and just got some more for Christmas, why don’t you pick out a few and donate gem to the hospital. That way when kids are there and are scared, the books can make them happy! She has so many books, we could have donated double this! 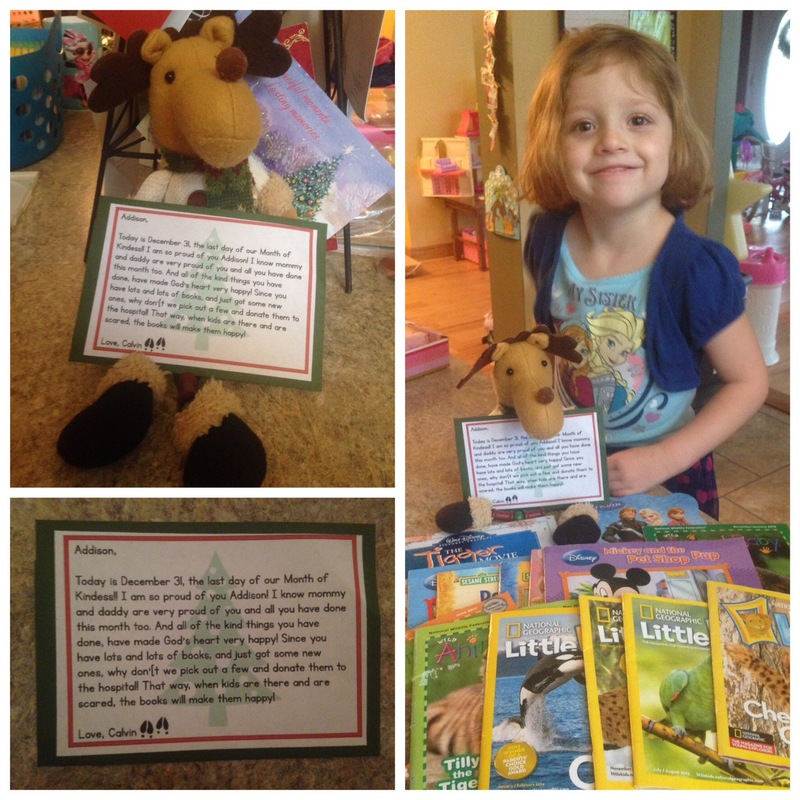 The kids at the hospital have enjoyed reading the books that Addison chose to donate!